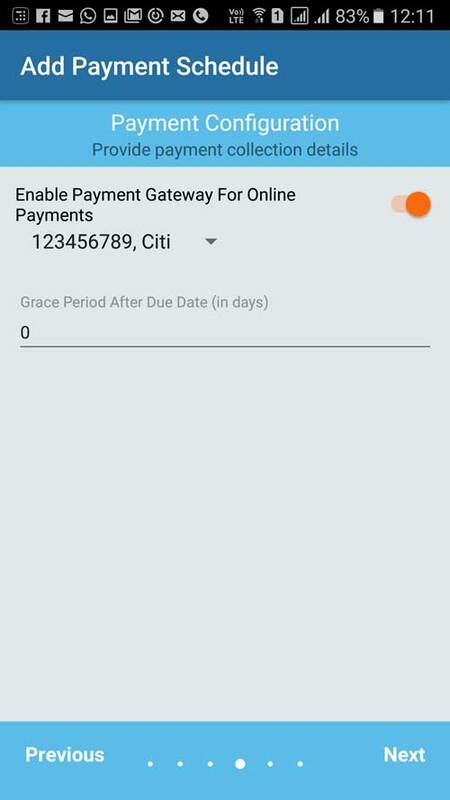 How do I create payment schedule with multiple criteria’s based on flat area? 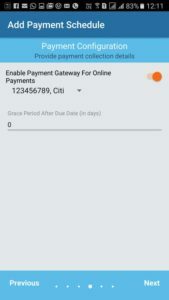 Click on the top left menu and select Payment Collection. Select the Tab named ‘Schedules’ and click on ‘+’ icon from the bottom right corner of the screen. Enter the schedule name and the description and click Next. 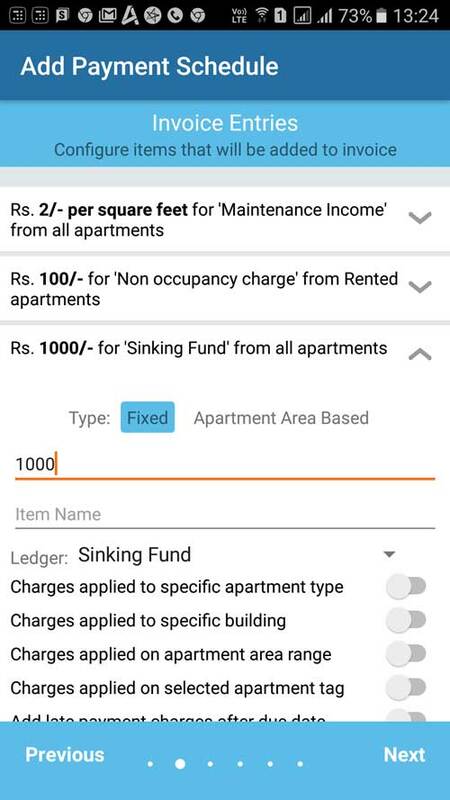 Select the type as ‘Apartment Area Based‘. Enter the Amount Per Sq feet to be charged. Select the correct ledger to which this amount to be reflected. All accounting entries will be automated and will be reflected in the selected ledger. 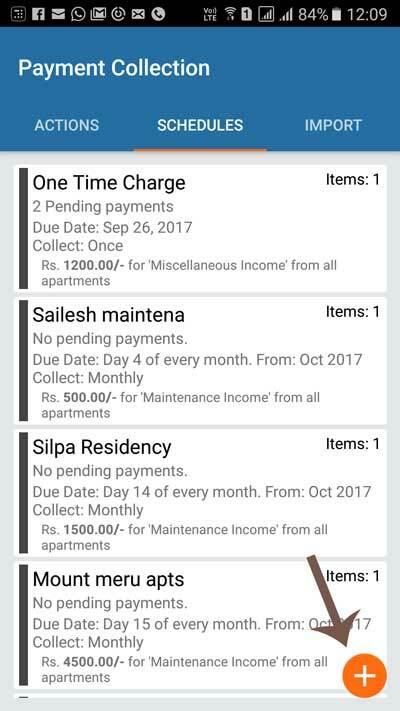 Add a new entry if you want to add a new payment item like shown in the image above. Select the correct ledger for every entry. Click on Next once done. 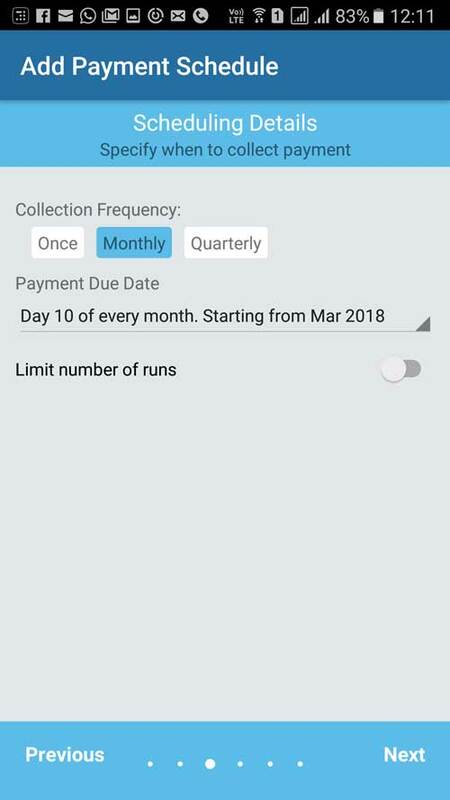 Set the scheduling details such as collection frequency, payment due date. Enter the exclusions if you want. 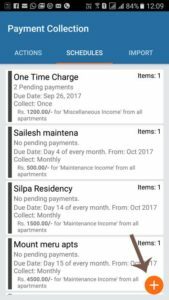 For instance, if you do not want to charge a particular flat for this type of payment then use this option to enter the exclusion. Click on Next. Check the summary to see if everything is correct. 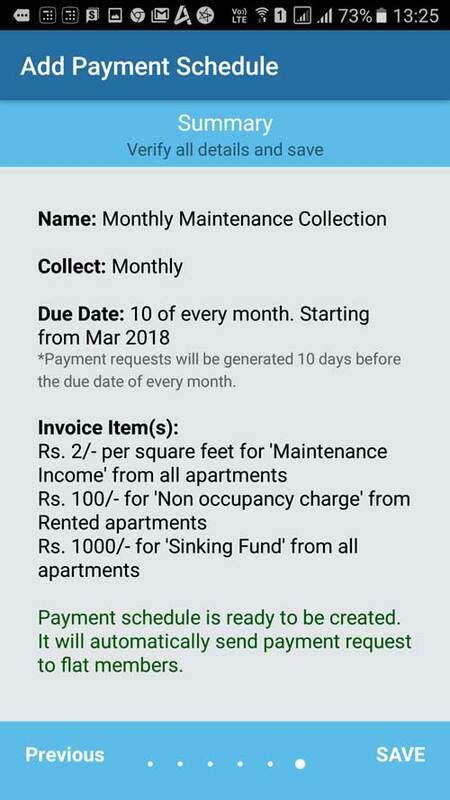 Click on Save to create the payment collection schedule. How do I create automated maintenance schedule for society members based on Area? 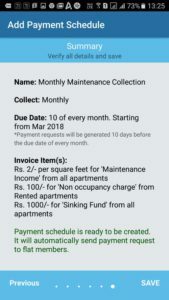 How do I create payment schedule for particular building? 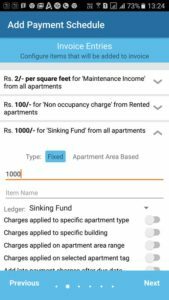 How do I create payment schedule for vacant, self occupied and Rented apartments? 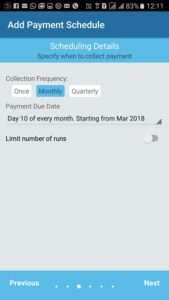 How to add expenses in the App? How to mark visitor exit? How to add staff with fingerprint? How to do visitor entry? © 2017 Neighbium Technologies Pvt. Ltd. All Rights Reserved.